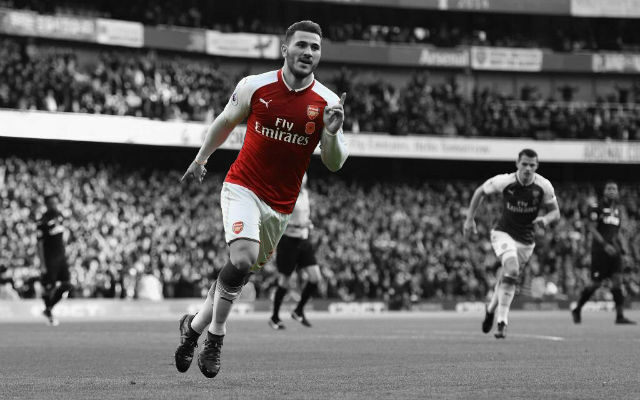 Arsenal have been handed a boost ahead of Saturday’s Premier League clash with Watford with the return of Sead Kolasinac. Under Arsene Wenger, it was common for Arsenal players to return from injury several days or weeks after the manager’s estimate. Now, things seem to be going in the other direction with players seemingly returning far ahead of the scheduled return dates set by the club. Sead Kolasinac is the latest man to do so after returning to full training ahead of his scheduled October return date. The Bosnian has been out since early August after picking up a knee injury but made a return to the matchday squad in the Carabao Cup in midweek. Carl Jenkinson has also returned to full training but the Gunners are still waiting on Ainsley Maitland-Niles who should recover from his fractured fibula in the next few weeks. It’s good to see Sead Kolasinac back with the squad. The Bosnian is a key player in the team and will hopefully be able to slot into the side in the coming weeks to give Nacho Monreal some much-needed rest.